The knowledgeable employment law attorneys at Elder Brinkman Law are skilled business litigators specializing in employment disputes involving wrongful termination, breach of contract, non-compete, confidentiality and severance agreements, harassment and civil rights claims. Since most business owners wish to remain out of the courts whenever possible, our Michigan employment lawyers continue to advise and help clients avoid many employment claims through the careful drafting of employee handbooks, policies, procedures and contracts that are designed to help protect the business. 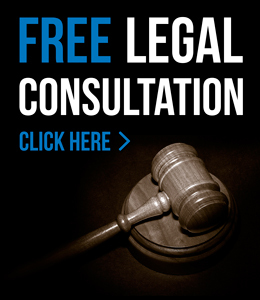 In the event that further legal action becomes necessary, our employment attorneys will aggressively represent both individuals and businesses involved in employment disputes. Has your employer asked you to sign a non-compete agreement? The terms of non-compete agreements are usually based on geography and time. For example, a non-compete agreement might prevent an employee from working for a competitor within 10 miles of any of the employer’s businesses for a period of one year after leaving the company. Many times, these agreements are heavily one-sided in favor of the employer. These agreements can severely impact your livelihood and must be examined by a knowledgeable employment attorney. The attorneys at Elder Brinkman Law can review your agreement prior to you signing it. Even if you already signed the non-compete agreement, our knowledgeable non-compete agreement lawyers can advise you on your options. For more information about the employment law attorneys at Elder Brinkman Law or to schedule a free initial consultation regarding a job-related legal issue, contact our office today or call us directly at 313.582.5800.